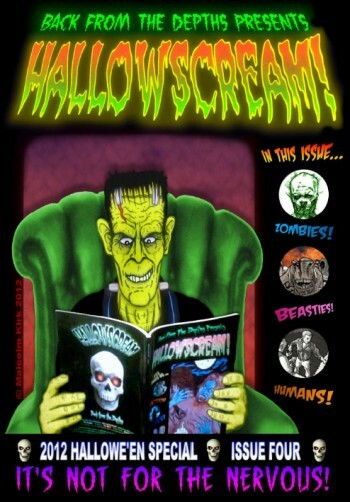 The 4th issue of feared horror anthology Hallowscream features 60 pages of spooky stories and anguished art to chill you to your bones. Get your slice a horror from both established and upcoming comic creators in the small press arena. The 4th issue of feared horror anthology Hallowscream features 60 pages of spooky stories and anguished art to chill you to your bones. SEE the stomach-churning sideshow freak! HEAR the bellowing countryside beast which feasts upon unwary wanderers into its domain! SMELL the bodily emissions of the not exactly undead! They sing! They dance! Got your slice a horror from both established and upcoming comic creators in the small press arena. Are you a wannabe comics writer or artist? Find out how you can get involved by visiting the Hallowscream site.